There’s no right spot to start with analyzing the Red Sox multiple signings in the wee hours last night. Hanley Ramirez and Pablo Sandoval are the top tier free agent hitters this year; and the Sox got them both. I should be excited, yes? Well I’m not. This just feels wrong to me. This feels like the time we almost had A-Rod, or Texiera. I don’t like it. Maybe these deals aren’t legal but because Bud Selig is on his way out he doesn’t care. I feel dirty thinking about the Sox incoming talent. I just want Lester back. Is that wrong of me to think? The amount of talent on the opening day roster before these two signings was more than enough, not to mention the talent in the minors. Now I’m just confused. Where is this team heading with these moves? Who is getting traded? What is going on at Fenway Park? I am complaining that the Sox have too much talent coming into next year. There will be clashing between the forces in the lineup. The young guys, Xander, Middlebrooks, Jackie Bradley Jr., Mookie Betts, Garin Cecchini, will be bitter at the fact that the front office, who had been promising them playing time and starting spots has seemingly abandoned ship with them. The players they brought in will be resentful that they were moved to beautiful Fenway Park. Craig, and Cespedes maybe blocked out of spots in the lineup and will probably cause a stir. Cespedes, it has been said, already is a drama queen in the clubhouse. Likewise, the new players that have signed recently may not get the ‘rightful’ amount of playing time that they signed for. The Red Sox signing all these players may have a reverse effect that is desired. The Giants are already hard at work trying to steal Lester from the Red Sox, we took their big guy. Who says they won’t try the same. The Yankees are the Yankees so look for them to overspend to compete. The Dodgers may want Lester, Scherzer or Shields, so again, look out west to take a few prime starters from the Red Sox viewpoint. What these few moves have done is scare pitchers away from the AL East, and make it enticing to play for the Red Sox as well. That’s what we hope at least. 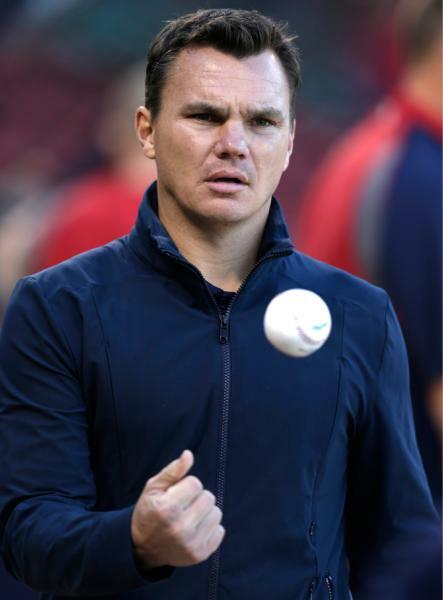 The best case scenario is that the Red Sox land Lester, and trade away for another proven pitcher to compliment Jon for the next few years as the young pitchers come into their own. The bright side is they can make moves and are somewhat set up for Papi’s predecessor. This bipolar post is brought to you by Confusion. +I am a little bitter that Barstool Sports signed Jarred Carrabis, I wanted that job and Jarred is kind of self centered. When the Sox won the Series in ’13 he talked solely about his “journey” and feelings with the team. Almost completely ignoring the Boston Marathon in his write up. He thought he was the driving factor behind them winning. Or so it seemed. +Also sticking to the Barstool writers openings, I’ll write in Jerry Thornton’s place if needed.